Many of you know our Betty. 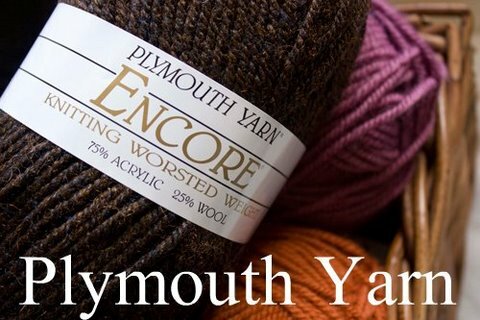 Plymouth Yarn’s “original” employee! Betty has been with us since about 1966 and today she celebrated her 88th birthday! 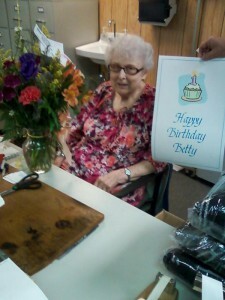 If you have gotten a color card or mailing from us ever, most likely Betty has had some part in creating it. We celebrated her day with homemade chocolate cupcakes(a Plymouth Yarn Co. favorite), flowers, balloons, decorations, and a few gifts. The boss might even let her knock off a few minutes early! Thank you to Betty for all of her years of dedication and we hope you have a wonderful birthday! The National NeedleArts Association Needs You! One Day Only Giveaway-See details here!